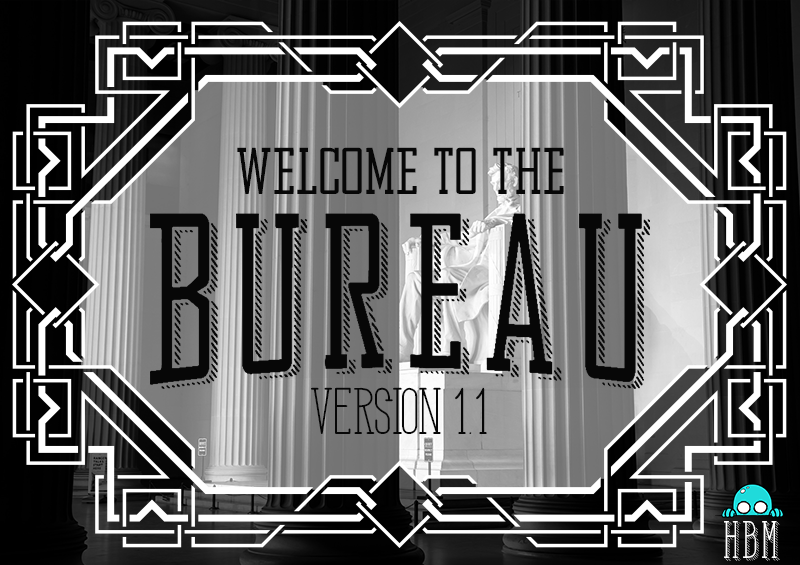 The font, Bureau, is based on the 1932 font ATF Agency Gothic by M.F. Benton, but features some small changes. Designed to be a modern take on Bentons work, Bureau features slab serifs as well as a distressed and HBMs signature "Trend" style for your enjoyment!